How Can Life Begin on Earth and Other Habitable Planets? 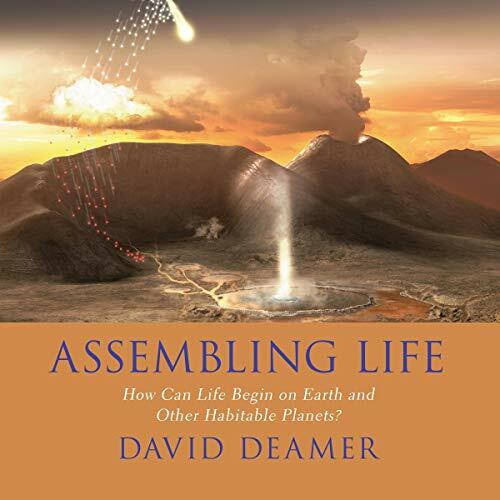 In Assembling Life, David Deamer addresses questions that are the cutting edge of research on the origin of life. For instance, how did nonliving organic compounds assemble into the first forms of primitive cellular life? What was the source of those compounds and the energy that produced the first nucleic acids? Did life begin in the ocean or in fresh water on terrestrial land masses? Could life have begun on Mars? The book provides an overview of conditions on the early Earth four billion years ago and explains why freshwater hot springs are a plausible alternative to salty seawater as a site where life can begin. Deamer describes his studies of organic compounds that were likely to be available in the prebiotic environment and the volcanic conditions that can drive chemical evolution toward the origin of life. The book is not exclusively Earth-centric, but instead considers whether life could begin elsewhere in our solar system. Deamer does not propose how life did begin, because we can never know that with certainty. Instead, his goal is to understand how life can begin on any habitable planet, with Earth so far being the only known example. I really enjoyed this book. I have very little chemistry or biochemistry background, just what Iv learned through years of listening toThe Great Courses. I was able to keep up for the most part. I would definitely say if you are going to listen to this book, brush up on your chemistry.